Have you ever received an occasional text message from an unknown number that tells you won a prize and asks you to click on the given links to verify? Many don’t click, but many who are not familiar with it end up being the victim of this technological scam. Text message scammers are growing at an alarming rate and hence, users need to be aware and safeguard their kid from such dangers. According to the Los Angeles Times, “text message scams have been growing tremendously as of late. Research conducted by Ferris Research based on the mobile scam found that American smartphone owners received 4.5 billion spam text last year”. If a person clicks on the link, he/she will be brought to a website requesting to fill out a survey to get a prize. Teens are the main target of scammers because they are easily fascinated with such things that offer quick money. Some parents are blessed with teens who have good phone usage habits, but if not, chances are yours have a higher chance of getting scammed. This is not the only issue that could hamper the safety of your child. Robust cell phone tracking software such as Mobile Spy can help you in monitoring and controlling the phone activities of your child. What does your child do on their phone? Worried they’re abusing the cell phone privileges? Are they texting, sexting or talking over the phone with a stranger or online predators? 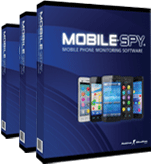 The aforesaid questions are enough to highlight the importance of installing Mobile Spy smartphone spy software on your child’s cell phone. This software records user activities stealthily and allows parents to view, filter, and monitor how their child uses their mobile phone remotely. You can view the recorded logs on the mobile device itself or in a secure online control panel depending upon your convenience. Calls and SMS filtering by phone numbers. SMS, call, URL, Website, and GPS monitoring. Monitor the activity from anywhere. If your child is receiving spam messages from unknown numbers, you can track the number and block it. 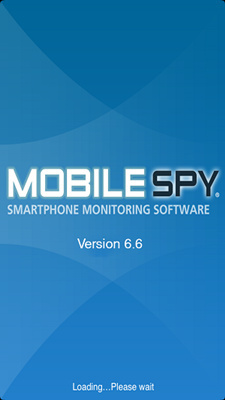 Mobile Spy is transforming into a safety tool to keep each child safe from such online scammers. Kids tend not to take safety and privacy seriously, and therefore, you need to think proactively to safeguard your child before it’s too late.